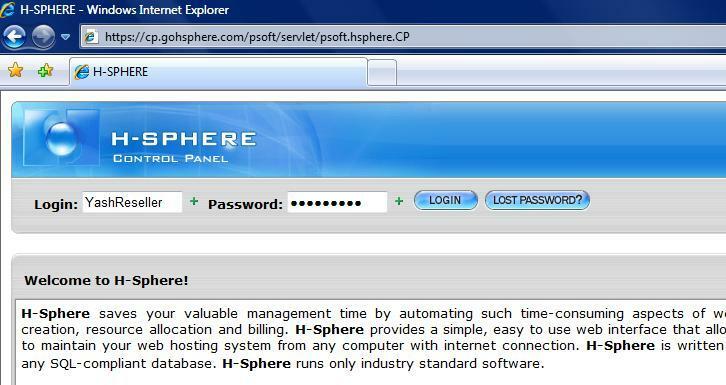 2) Reseller Administrative CP - This is the control panel through which you manage your hosting business. 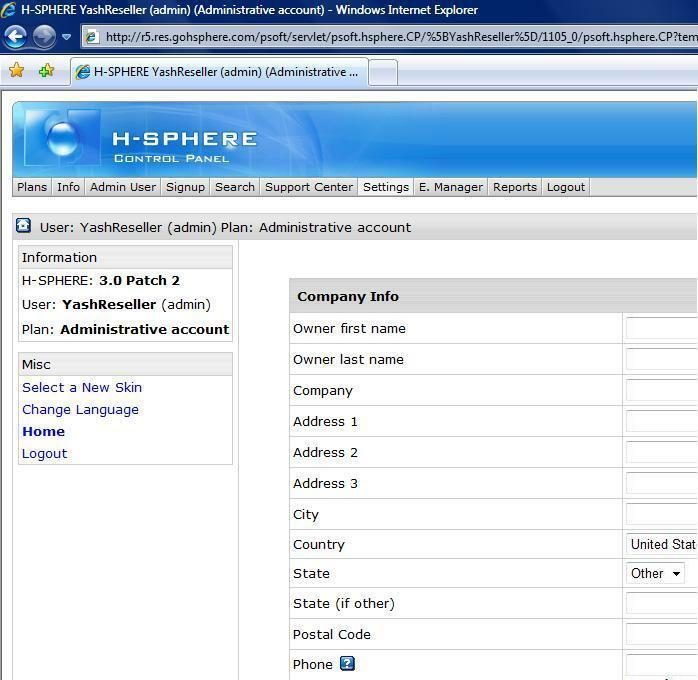 It allows you to set up your name servers, hosting plans, merchant gateway, support, billing, etc. It also allows you to manage all your customer accounts and signup requests. 3) End-User CP - This is the CP through which each of your customers can actually manage their website from. Here customers can setup websites, mail boxes, databases, etc. 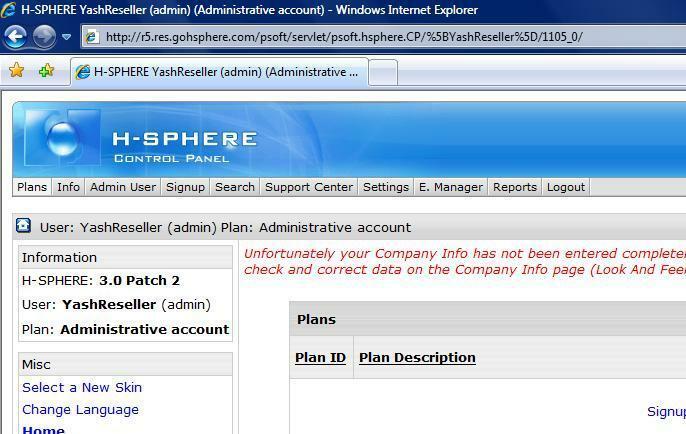 The Reseller Admin CP doesn't allow resellers to host their own personal websites. You as a reseller would need to signup for one of your hosting plans as a customer in order to setup your personal websites and access the end-user CP. Hence, ensuring you follow all the steps in this guide are crucial before you can begin hosting any domains. Thank you for choosing JodoHost for your Web hosting needs. We look forward to working with you to make sure you get the most of your account, and we wish you success with your online venture. Type in your username and password and then click "Login"
Once you have logged into your account, you'll see a screen with a button to "Enter Admin CP". 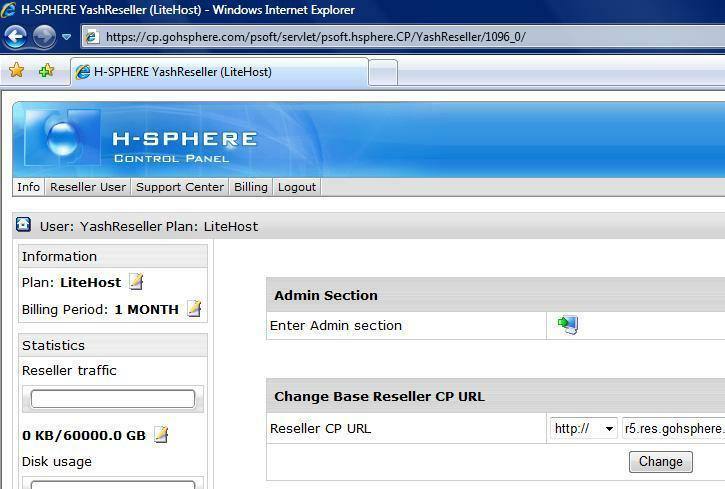 This logs you into your Reseller Administrative CP. 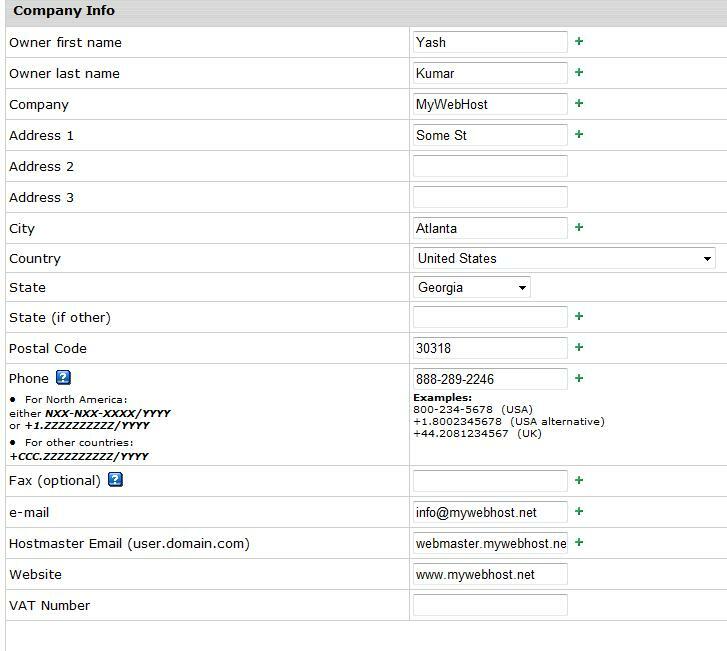 Hostmaster Email - Fill in any email address as your hostmaster email here. Note that you must use "." instead of ""@". So if your website was mywebhost.net, your hostmaster email could be webmaster.mywehbost.net or admin.mywehbhost.net. Once you have filled out the form, click on "Save"